Mystro automatically accepts trip requests based on your preference settings. However, trips that do not match those settings are ignored by Mystro. NOTE: Mystro only filters trip requests based on your settings. MYSTRO DOES NOT SUPPRESS these requests! 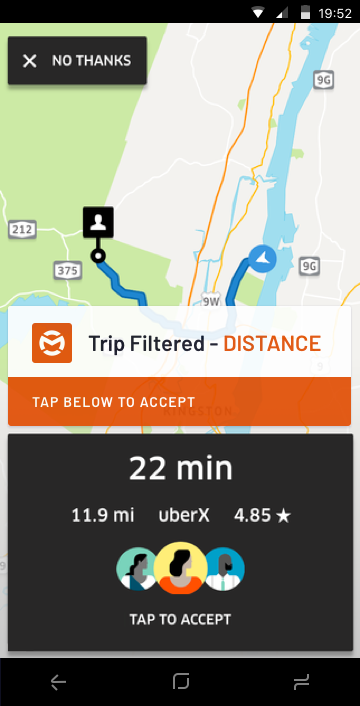 When a request is ignored by Mystro, you'll see the TRIP FILTERED pop-up rectangle on your screen. It will note why the trip is being ignored. If you decide to accept the trip anyway, just tap on the screen as you would normally.